The Conservative government’s threat to withdraw Britain from the European Convention of Human Rights (ECHR) risks repeating what happened in Nazi Germany in the 1930s said a senior UN representative. Professor François Crépeau, the UN special rapporteur on the human rights of migrants, said that plans by the Tories to withdraw from the ECHR risked repeating history and a gradual erosion of human rights laws in Britain. “We have to remember the 1930s and how the rights of the Jews were restricted in Germany and then the rights of the whole German people. I mean, countries that go down the path of reducing the rights of one category of people usually don’t stop there,” he said. The Conservatives have threatened to withdraw from the act in order to regain the legal authority to deport foreign criminals. The Tories have also proposed replacing the Human Rights Act with a British Bill of Rights. Professor Crépeau said he did not object to this as long as human rights “were protected in the same way,” but that the UK should not quit the convention altogether. Crépeau’s comments provoked outrage among some Tories, with Dominic Raab, the Justice Minister, calling his remarks “ludicrous” and "offensive". “Comparing proposals for a British Bill of Rights to the Nazi persecution of the Jews is ignorant and offensive,” said Raab. But many senior Conservatives have voiced dismay at plans to withdraw from the act. Ken Clarke, a pro-European, said that doing so would be “unthinkable” and “absurd”. “I personally think it's unthinkable we should leave the European Convention on Human Rights; it was drafted by British lawyers after the Second World War in order to protect the values for which we fought the War for,” he said. 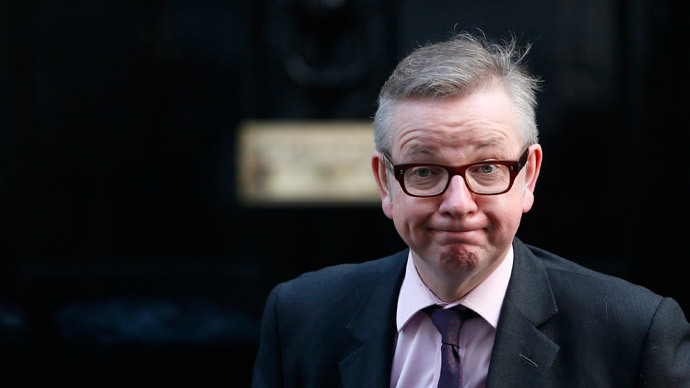 Separately it emerged on Sunday that the Justice Secretary, Michael Gove, was considering drafting a separate English Bill of Rights rather than a British one to allow Scotland to keep the ECHR. Scotland has a different legal system to the rest of the UK and has said it would block any attempts by London to withdraw it from the convention.